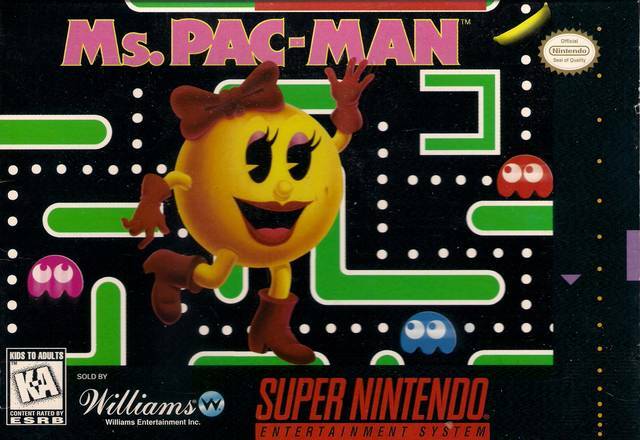 Ms. Pac-Man for Super Nintendo allows you to take control of a yellow disc adorned with lipstick and a pink bow. The goal is to guide the disc around a maze and eat all the dots. However, there are four ghosts chasing you around the maze. 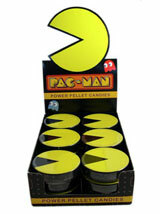 As a stroke of luck, there are power pellets located in each corner of the maze. When the power pellets are eaten, all of the ghosts turn blue, and they can be eaten. Occasionally, fruit will float into the maze and can also be munched for extra points.